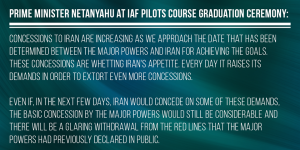 Jerusalem, Israel — June 25, 2015 … Israel Prime Minister Benjamin Netanyahu updated Israel Air Force pilots today at a graduation ceremony on the Iranian nuclear threat. 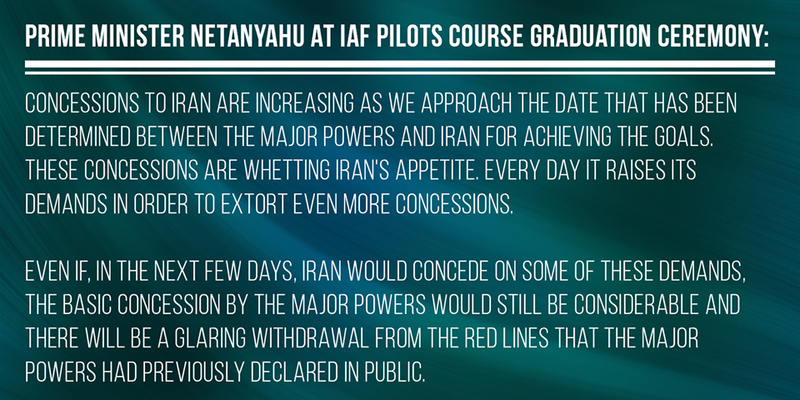 “The foremost threat that endangers our security is Iran’s effort to arm itself with nuclear weapons,” said Netanyahu. Six thousand miles away the American Jewish Committee welcomed the statement on the U.S-led talks with Iran by an impressive group of former top Obama and Bush administration officials. “Most importantly, this group of distinguished U.S. experts advises the Obama administration to proceed with caution and take more time to get the best deal possible to ensure that Iran will not be able to produce a nuclear weapon, ever,” said AJC Executive Director David Harris. The open letter, directed at the White House and State Department, presents detailed recommendations on the elements that should be included in an agreement with Iran that addresses comprehensively its nuclear ambitions, as well as its support for terrorism and interference in other countries across the region. The 18 individuals signing the letter – senior officials who served in the Obama and Bush administrations, former members of Congress and ambassadors – comprised a study group organized by the Washington Institute for Near East Policy that has met regularly over the past three years. “We urge the U.S. administration not to treat June 30 as an ‘inviolable’ deadline. Stay at the negotiating table until a ‘good’ agreement” is reached, states the letter. To definitely prevent Iran from building nuclear weapons, the letter states, will require, among other things, that Iran must not “deny or delay timely access to any site anywhere in the country” that IAEA inspectors need to visit to verify Iranian compliance with the agreement’s restrictions on nuclear research and development. And to ensure compliance, the letter urges that sanctions relief be based on Iran’s performance of its obligations as confirmed by the IAEA. 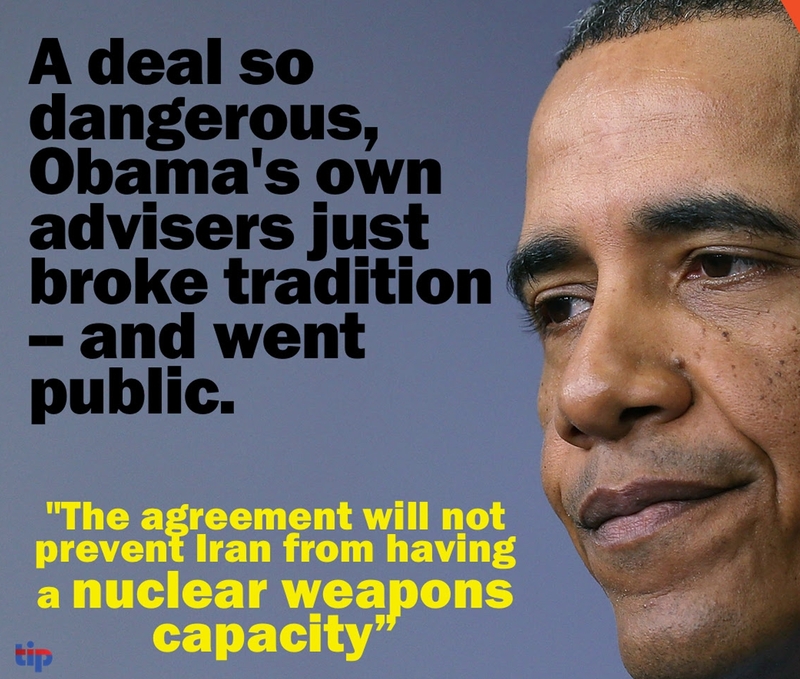 “Without these features, many of us will find it difficult to support a nuclear agreement with Iran,” the group wrote. The letter also urges the U.S. administration “to create a discreet, high-level mechanism with the Israeli government to identify and implement responses” to Iranian activities in Iraq, Syria, Yemen and elsewhere in the region. The June 30 deadline for a final nuclear agreement is just days away, and Khamenei on June 23 delivered a speech that cast the all negotiations into doubt—reinforced the next day with a helpful chart listing “Major Red Lines in Nuclear Negotiations,” posted on Twitter with the words “Red Lines” in red type. His timing was impeccable. The Leader pounced six days after US Secretary of State John Kerry displayed weakness, suggesting publicly that in a final deal Iran might not have to account for developing a nuclear weapon. Several influential US Senators and Congressmen said they do not want to see any sanctions lifted before Tehran begins complying with a deal, and want a tough verification regime, in which inspectors could visit Iranian facilities anytime and anywhere. “I have become more and more concerned with the direction of these negotiations and the potential red lines that may be crossed,” said Senator Bob Corker, the Republican chairman of the Senate Foreign Relations Committee.